Your baby seems to cry, a lot. She also spends a lot of her time moving, grunting, and cooing. Maybe she is trying to communicate what is going on in her tiny little body, but you don’t understand. 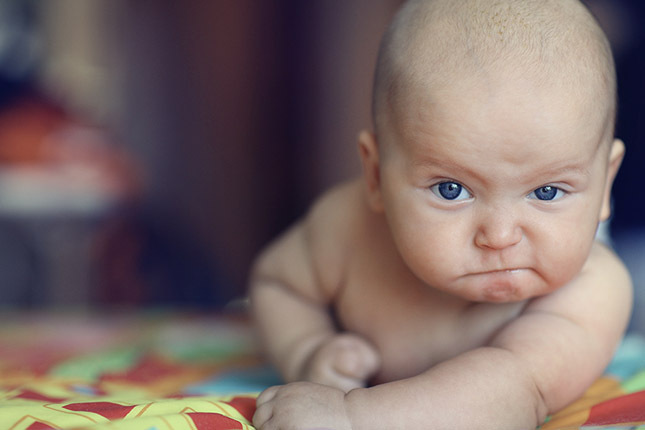 Is there a way to decode what your baby’s body language is saying? Does this baby come with a user manual? Help! As brand new mamas, we are bound to make mistakes. What funny baby “oops” have you made recently (that you’re willing to admit)?Leave a voicemail through our website, or email us and we’ll share your story! Colic: Why Is My Baby Crying Constantly?